Over the last decade there has been an increase in healthcare expenditures while at the same time the inequity in distribution of resources has grown. These two issues have urged the researchers to review the determinants of healthcare expenditures. In this study, we surveyed the determinants of health expenditures in Economic Cooperation Organization (ECO) countries. We used Panel data econometrics methods for the purpose of this research. For long term analysis, we used Pesaran cross sectional dependency test followed by panel unit root tests to show first whether the variables were stationary or not. Upon confirmation of no stationary variables, we used Westerlund panel cointegration test in order to show whether long term relationships exist between the variables. At the end, we estimated the model with Continuous-Updated Fully Modified (CUP-FM) estimator. For short term analysis also, we used Fixed Effects (FE) estimator to estimate the model. A long term relationship was found between the health expenditures per capita and GDP per capita, the proportion of population below 15 and above 65 years old, number of physicians, and urbanisation. Besides, all the variables had short term relationships with health expenditures, except for the proportion of population above 65 years old. The coefficient of GDP was below 1 in the model. Therefore, health is counted as a necessary good in ECO countries and governments must pay due attention to the equal distribution of health services in all regions of the country. 1. Weil DN. Accounting for the Effect of Health on Economic Growth. Q J Econ 2006: 122: 41-5. 4. Jonathan G. Handbook of Health Economics. USA: Elsevier; 2000. 9. WHOSIS. Per capita health expenditures in an average exchange rates. World Health Organization, 2009. 10. WHOSIS. Health Expenditure Per Capita (PPP; International $) 2008. World Health Statistics, 2009. 11. Christiansen T, Mickael B, Jorgen L. Demographic changes and aggregate healthcare expenditure in europe. Uropean Network of Economic Policy Research Institutes2006; 1: 200-25. 12. Paula V. Out-of-pocket health care expenditures due to excess of body weight in Portugal. Econ Hum Biol 2008; 6: 127-42. 14. Newhouse J. Medical care expenditures; a cross national study. J Hum Resour 1977; 12: 10-26. 15. Breyer F, Felder S. Life expectancy and health care expenditures: A new calculation for Germany using the costs of dying. 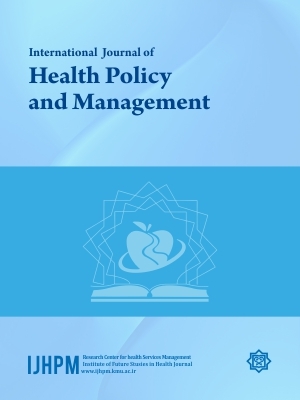 Health Policy 2006; 75: 178-86. 17. Fuchs VR. Though much is taken: reflections on aging, health and medical care. Quar Heal Soc 1984; 61: 23-31. 19. Zweifel P, Felder S, Meier M. Ageing of population and health care expenditure: a red herring? Healh Econ 1999; 8: 11-22. 21. Seshamani M. Alongitudinal study of the effects of age and time to death on hospital costs. J Healh Econ 2004; 23: 18-26. 24. Minor AF . The cost of maternity care and childbirth in the U.S. Health Insurance Association of America, 1989. 46. Brugha R, Zwi A. Improving the Quality of Private Sector Delivery of Public Health Services: Challenges and Strategies. Health Policy Plann 1998; 13: 107-20. 54. Hotchkiss DR, Jeffery J, Keshav K. Household health expenditures in Nepal: implications for health care financing reform. Health Policy Plann 1998; 13: 12. 55. OConnell JM. The Relationship Between Health Expenditure and the Age Structure of the Population in OECD Countries. Health Econ 1996; 5: 5-17.